This exciting project combines both a relaxed and fun atmosphere with informative learning opportunities. Your group will enjoy a mixture of experiences and even before starting the Conservation project you will see some stunning wilderness on your journey to base camp. After flying into Polokwane and driving across the Botswana border your group will arrive at its final destination – Wild At Tuli. At our largest nature reserve, your group is guaranteed to have an incredible experience whilst staying there. Throughout your time in Southern Africa your group will live at the reserve, which is very accommodating and well facilitated. Spacious safari tents, showers open to the stars and an open air communal area complete with a fire circle provide the perfect surroundings for your stay. Your group will be involved with a lot the work that takes place at the reserve – from wrapping trees to prevent damage from elephants to collecting scientific data on the birds inhabiting the area. This Conservation project requires hard work but is a lot of fun and extremely rewarding. 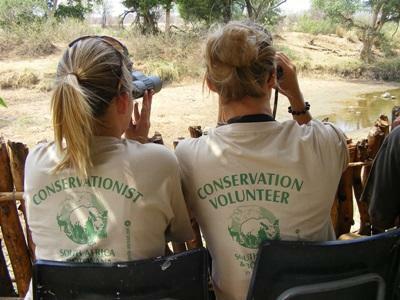 Our Conservation staff have a wealth of experience in all the activities and will accompany your group at all times. This will give you a real chance to expand your knowledge of the regions geography and wildlife. By passing on their expertise, your group will undoubtedly learn a lot about living in the bush, an extremely unique opportunity. For more information about our work at the reserve, check out our Monthly Updates section.